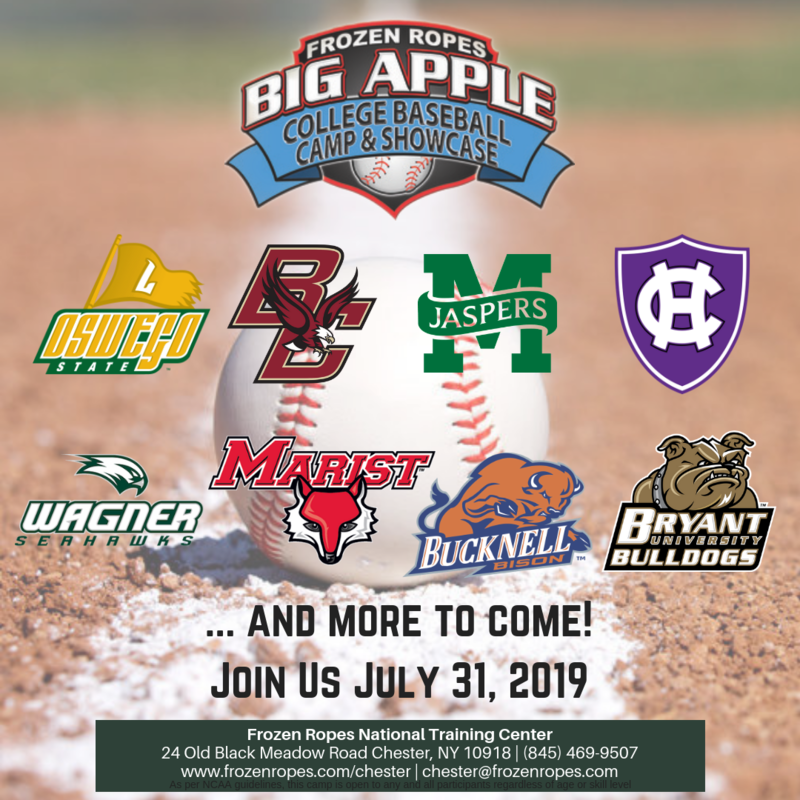 Frozen Ropes National Training Center in Chester, NY will be playing host to the premier College Bound Softball event in October for coaches AND players! 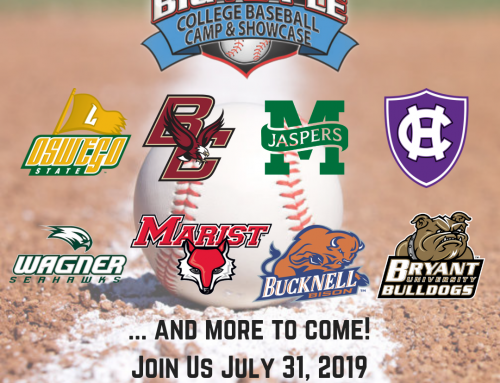 This event features college coaches from the top schools across the country dispensing advice, evaluating players, and conducting an unrivaled skill camp at the premier baseball and softball training facility in the region. Coaches on staff for this event include Ken Eriksen (South Florida/Team USA), Donna Papa (North Carolina), Jen McIntyre (UConn), and Mike Bosch (Syracuse). 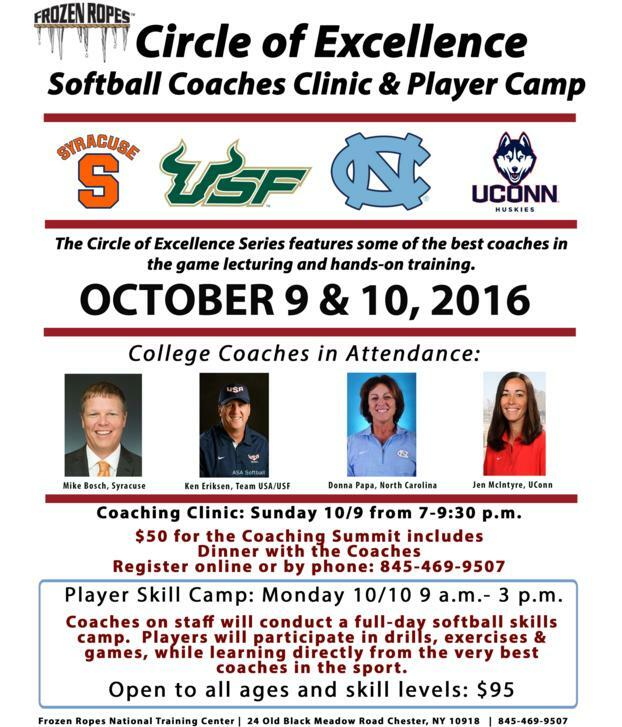 October 9th – Coaches Clinic: Coaches on staff for the event will be conducting an intensive coaching lecture in a hands-on atmosphere. This event includes dinner with the coaches! Open to all coaches. October 10th – Player Skill Camp: Softball players of any age or skill level will have the opportunity to work with some of the top coaches in the game! Players will grow tremendously with a full-day skill camp featuring drills, lessons & skills instructed by NCAA coaches from top programs!